We're passionate about Science at Randwick City Library. We host a fantastic series array of Spark! science discovery clubs, activities and resources for kids aged 3-12 aimed at kindling and stimulating interest. We also have a collection of Spark! Discovery Boxes for 8-12 year olds to take home and explore. Scroll down to see the children's programs fees and charges. The Little Spark Discovery Club is a membership-only club for junior discoverers aged three to five years and their adult assistants. Participants will learn the art of discovering and scientific enquiry through a four-part series of hands-on science-based educational workshops and activities. The Little Spark Discovery Club is presented by a science educator from the Children's Discovery Museum. The Club is coordinated by Randwick City Library. The Little Spark Discovery Club runs annually in terms 1 and 3. Registration will open 3 weeks prior to the start of the term. The Spark! Adventurers' Club is a membership-only club aimed at inquisitive young scientists in school years K-2. Members will be able to experiment, learn and discover through regular interactive and hands on science workshops. The Club is coordinated by Randwick City Library, with all workshops and activities presented by professional science providers such as the Children's Discovery Museum and Fizzics Education. The Spark! Adventurers' Club runs annually in terms 2 and 4. Registration will open 3 weeks prior to the start of the term. Dates each term will change so please check with the Library if you have any queries. The Spark! Explorers' Club is a membership-only club aimed at inquisitive young scientists in school years 3-6. 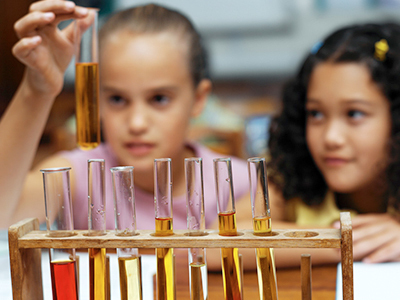 Members will be able to experiment, learn and discover through regular interactive and hands-on science workshops. The Spark! Explorers' Club runs annually in terms 1 and 3. Registration will open 3 weeks prior to the start of the term. Dates each term will change so please check with the Library if you have any queries. Check out our supersonic collection of science kits especially for 8-12 year olds. Each themed kit contains a selection of quality scientific apparatus, books and activities for you to take home and explore. These boxes have been created with the generous support of the Children's Discovery Museum. Available from the Lionel Bowen Library. To view a complete listing, search the Spark! Discovery Boxes on the Randwick City Library catalogue.